This new year is beginning with good news from iSpring. We’re happy to announce that content published with iSpring tools has proven to be perfectly compatible with Administrate LMS. Using iSpring e-Learning software, you can easily generate SCORM 1.2 and SCORM 2004 packages that will instantly integrate into Administrate LMS. Administrate was founded in the UK (Scotland), in 2011. Today it is a powerful LMS driven by an enthusiastic team of e-Learning experts. As can be understood from the LMS’s name, it is made primarily for administrators to help them save time and money. While e-Learning and, especially, mLearning are developing extremely rapidly, Administrate manages to stay at the forefront of the technology thanks to the cloud-based solution it offers. Being a Software-as-a-Service (SaaS) product, Administrate doesn’t require any software to be installed, thus liberating users from problems connected with hosting, deployment, troubleshooting, setup, and backups. The system fully supports SCORM versions 1.2 and 2004, including those courses that are developed for different languages or use different character sets. Plus, Administrate is mobile-friendly, which means that if you author your SCORM content using HTML5, your courses will play on Apple (iOS) devices just fine! 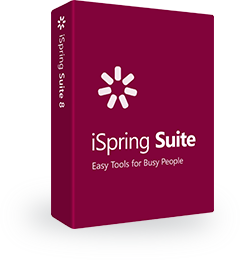 Feel free to learn more about LMS support provided by iSpring software. Not on the list yet? Feel free to contact us.